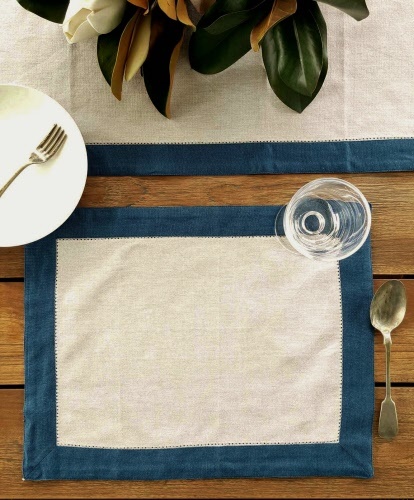 Set of 4 Hampton style placemats in 100% cotton. Natural and Denim colourway. Great for indoor or outdoor entertaining. Measures 35cm x 45cm. Cold machine wash.